The SMOK MICO Replacement Pod Cartridges features an ergonomically design mouthpiece with a 1.7mL refillable juice capacity, cleverly designed with simple side-fill mechanism to accommodate a wide range of nicotine salts. 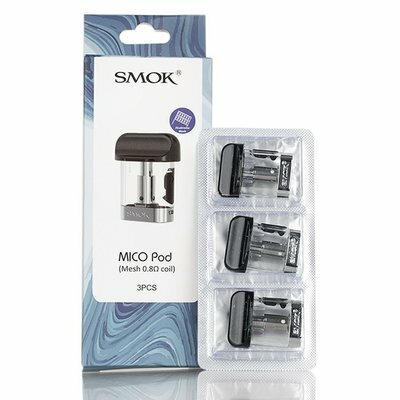 The SMOK Vape MICO atomizer core is integrated into the pod, utilizing a special cotton that is enclosed to provide optimal vapor production and flavor enhancement. 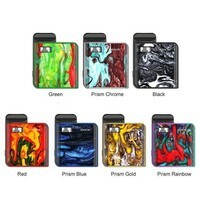 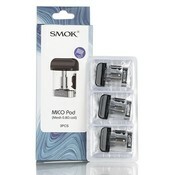 It is offered in three options: 0.8ohm MICO Mesh Pod, 1.0ohm MICO Regular Pod, and 1.4ohm MICO Ceramic Pod.